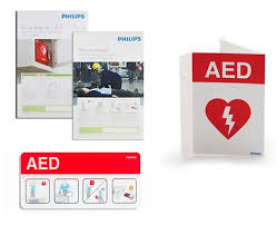 The Philips family of AEDs use clear, natural voice instructions, and guides you through each step of defibrillation and CPR. ​​Physio-Control has a product for every need featuring industry leading technology and real world solutions. 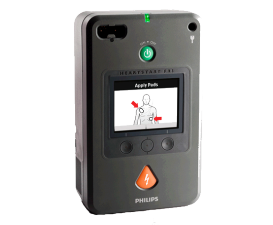 An automated external defibrillator (AED) is a lightweight, portable device that delivers an electric shock through the chest to the heart. 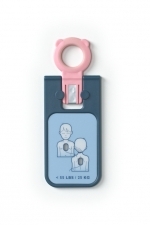 The shock can stop an irregular rhythm and allow a normal rhythm to resume in a heart in sudden cardiac arrest. Sudden cardiac arrest is an abrupt loss of heart function. If it’s not treated within minutes, it quickly leads to death. 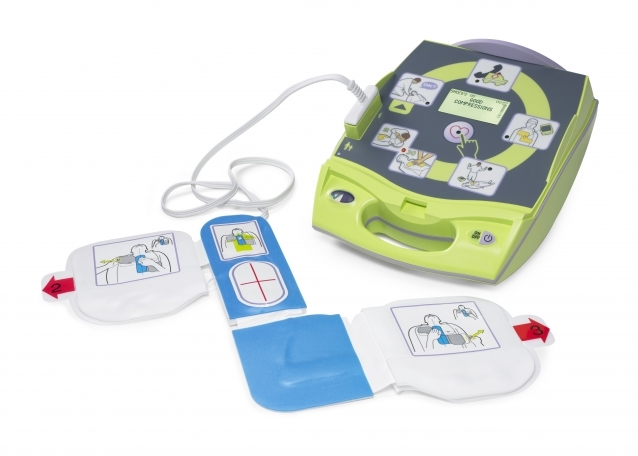 Non-medical personnel such as police, fire service personnel, flight attendants, security guards and other lay rescuers who have been properly trained can use AEDs. 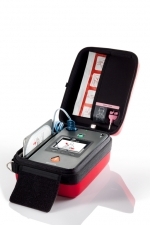 All first-response vehicles, including ambulances, law enforcement vehicles and many fire engines should have an AED. 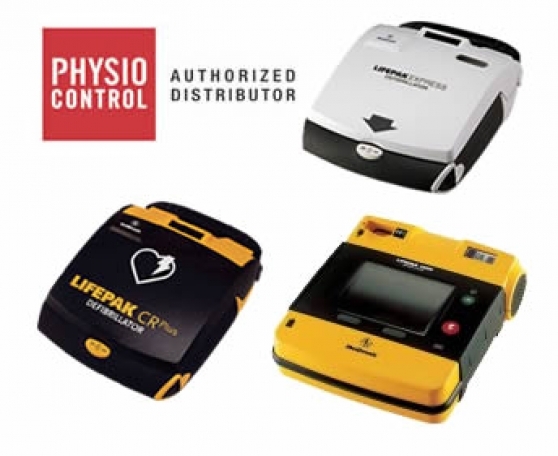 AEDs also should be placed in public areas such as sports arenas, gated communities, airports, office complexes, doctors’ offices and any other public or private place where large numbers of people gather or where people at high risk for heart attacks live. 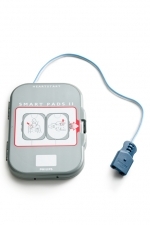 How long will my AED pads last? Adult and child pads will last for 2 years or for one event (usage). They need to be replaced by the expiration date or there is a chance the gel in the pads will begin to dry out. 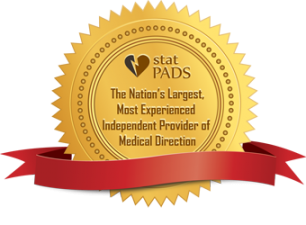 This could cause the pads not to stick properly to the patient and therefore not send the proper therapy. 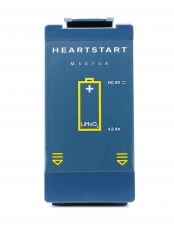 How long will my AED battery last? 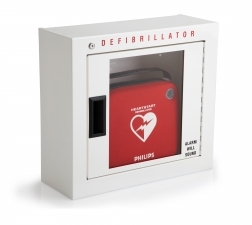 The Philips AED battery will last four years once it is installed in the AED. 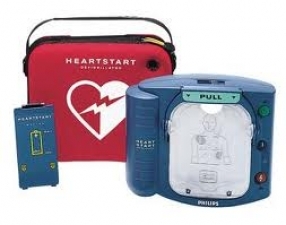 However, if you use the AED on a regular basis (as an EMT or hospital would), this could shorten the battery life. Extreme cold or hot temperatures can also shorten battery life. Sudden cardiac arrest (SCA) is a condition in which the heartbeat stops abruptly and unexpectedly. This usually is caused by ventricular fibrillation (VF), an abnormality in the heart's electrical system. When this happens, blood stops flowing to the brain the heart and the rest of the body, and the person collapses. In fact, the victim is clinically dead and will remain so unless someone helps immediately. 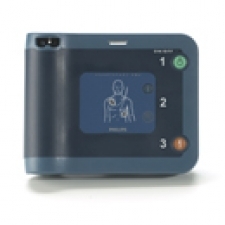 A quick combination of CPR and defibrillation can restore life. No. A heart attack is a condition in which a blood clot suddenly blocks a coronary artery, resulting in the death of the heart muscle supplied by that artery, unless the clot is opened within a few hours. Heart attack victims usually experience symptoms such as chest discomfort or pain and remain conscious. Most people who have a heart attack survive the event. Some will develop an SCA. Other people have an SCA independently from a heart attack and without warning signs. SCA results in death if it is not treated immediately. Philips offers a wide range of innovative, evidence-based emergency care and resuscitation technology solutions to help caregivers respond to emergencies quickly and effectively wherever they occur. 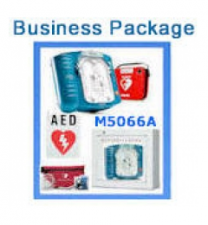 With manufacturing facilities in Europe, the USA, and Asia, Advantage Medical Cables (AMC) has the capability and flexibility to offer the highest quality accessories for patient monitoring at prices that won’t break your budget. 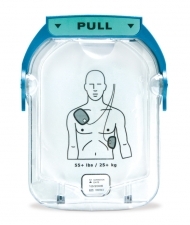 Our growing range of products is made up of three core offerings: Replacement ECG cables, EKG cables and lead wires; Reusable SpO2 sensors, Disposable SpO2 sensors and SpO2 adapter and extension cables; Reuseable NIBP cuffs, Disposable NIBP cuffs and NIBP adapter hoses; and Connect-A-Kit™ modular medical connector assemblies. Copyright © 2019 CF Medical, Inc. All right reserved. 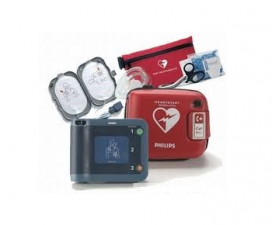 CF Medical started in 1992 with Hewlett Packard selling defibrillators in Boston, Massachusetts. Since then our vision of providing quality medical products and outstanding service has remained consistent. CF Medical's proven track record and staff of experienced sales representatives has allowed the company to grow in product lines and geography.